I like using an intensive conditioner on my hair a few times a week and this was on offer for a few quid so I thought I'd try this. It smells of coconut which is lovely. I've wanted to try a Tangle Teezer for ages but I was being a cheapskate and didn't want to pay £10.99 for it in case it wasn't very good. Since I had my birthday money I decided just to treat myself. I've been after a new eye cream and I was going to buy a Kiehls one but this one seemed to catch my eye in Fenwicks. I think it's due to the sparkly packaging. Unfortunately my camera hasn't picked up the sparkle very well! This is from the Heavenly Skin collection. I absolutely love Montagne Jeunesse face masks. They are really cheap but have some great natural ingredients and always make a difference to my skin. 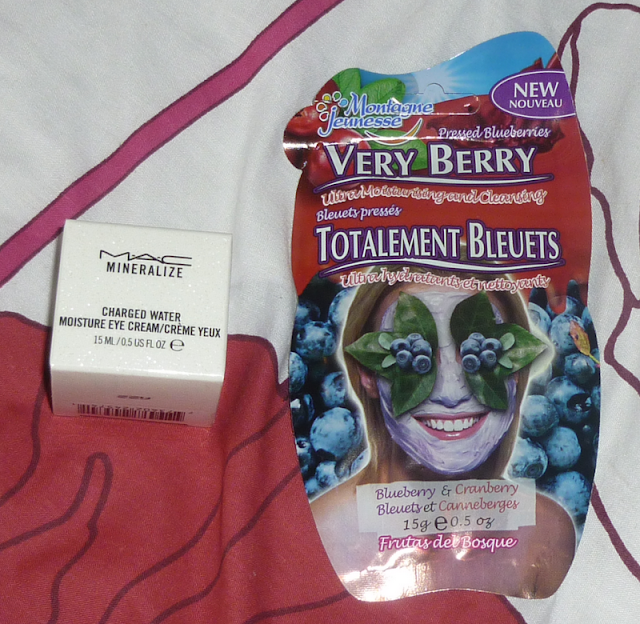 I definitely see better results with these compared with the Lush face masks. I totally didn't mean to buy this. I just got carried away in Fenwicks Beauty Hall! Anna always raves about this on her blog so I've wanted it for a while but it's pretty expensive at £33.00. I swatched a little on my hand for the first time and decided to go for it, well it was my birthday wasn't it?! I bought a Stila concealer last month but I haven't been very impressed with it. It's certainly not worth £18! 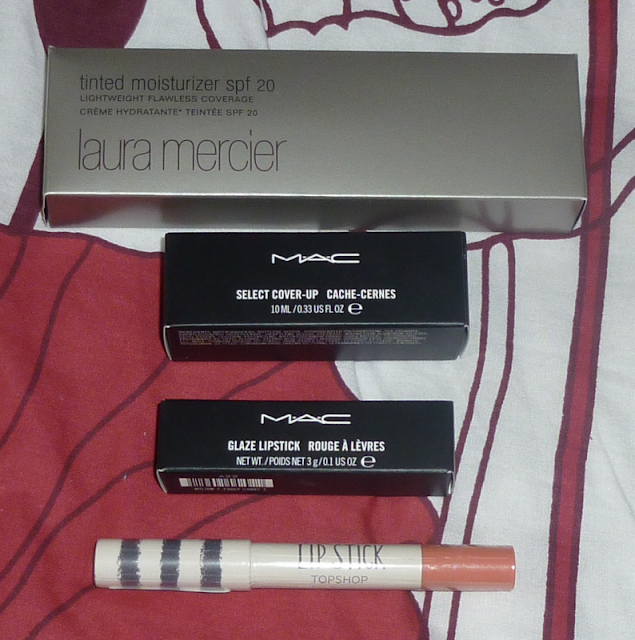 I'd been thinking about trying this MAC one for a while so decided to get it and see what I think. This is a popular blogger lipstick and I'm always swatching it at the MAC counter so again, I decided to just go for it! It was quite an impulsive shopping trip really! I hadn't tried these before but had often admired the colour and I love all my other Topshop makeup so I had to eventually own this. 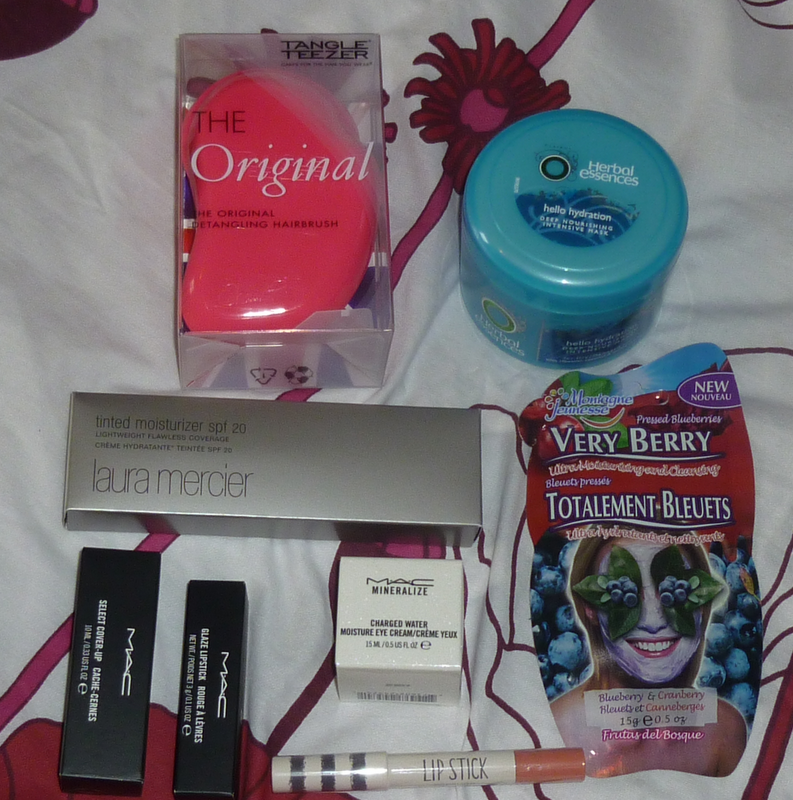 I seem to be buying far too many lip products at the moment. Maybe it's because I've filled up my nail polish storage so I've developed a new obsession! So that was my haul, hope you enjoyed it :) Let me know what you've been buying lately. P.S Don't forget about my giveaway. It's running until 6pm on 5 August 2012. I have a huge lip obsession! huge! haha i like the sound of the topshop lipstick! Topshop LipSticks are great, I find them so much easier to apply. The colour looks great.